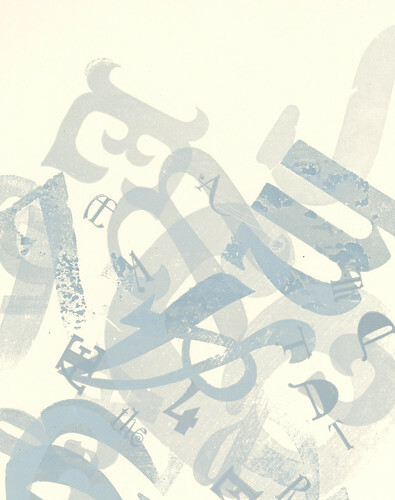 In my first year at Chelsea (in 1987, now part of University of the Arts London), we were given an induction into the composing room and set a letterpress project. 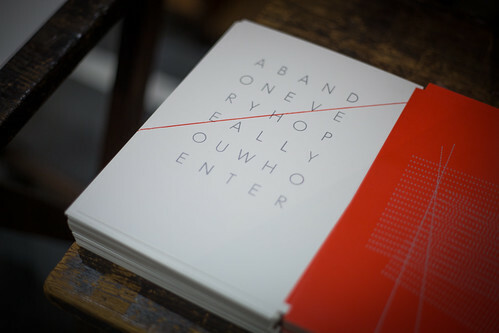 We were asked to typeset a small piece in (what was then) the very common vernacular of a ‘Would Like to Meet’ advert. I found the whole process absolutely magical. 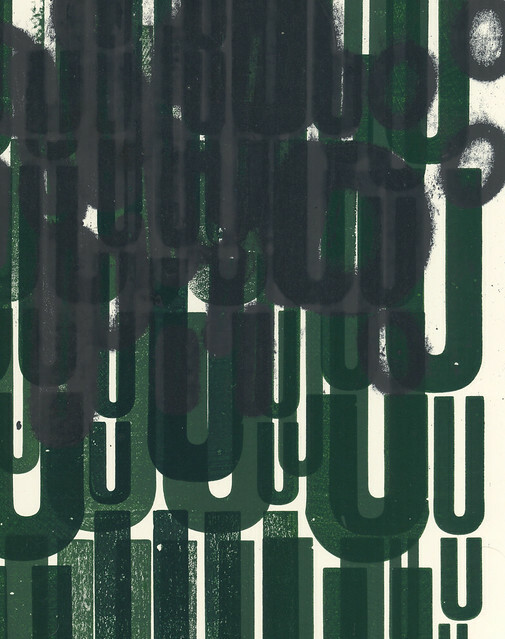 The direct link between writing, craft and printing; the opportunity for visual and literary wordplay; the immediacy of the results; the opportunities for expression… I was entranced. So much so that I think I made about fifteen different adverts, rather than just the one that was required. In my second year I carried on making monthly editions of letterpress cards based on comments I had overheard or read, posting them out as part of my interest in mail art networks. By my third year, I wanted to make something more ambitious and expressive. Something that went beyond a series of experiments for their own sake, something with a core narrative that I could illustrate. At the time I was actually studying illustration, even though I spent all my time drawing on location or typesetting, printing and dissing in the Caseroom. 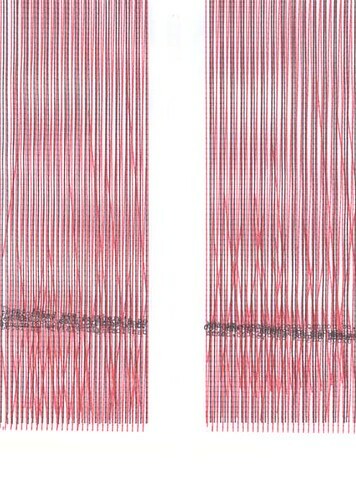 The images are from Barrie Tullett’s project to illustrate each of the 100 Cantos of Dante’s Divine Comedy using a different ‘obsolete’ technology. The 34 Cantos of The Inferno are realised using letterpress; the 33 Cantos of Purgatory are made on a typewriter; and the 33 Cantos of Paradise will be in Letraset. 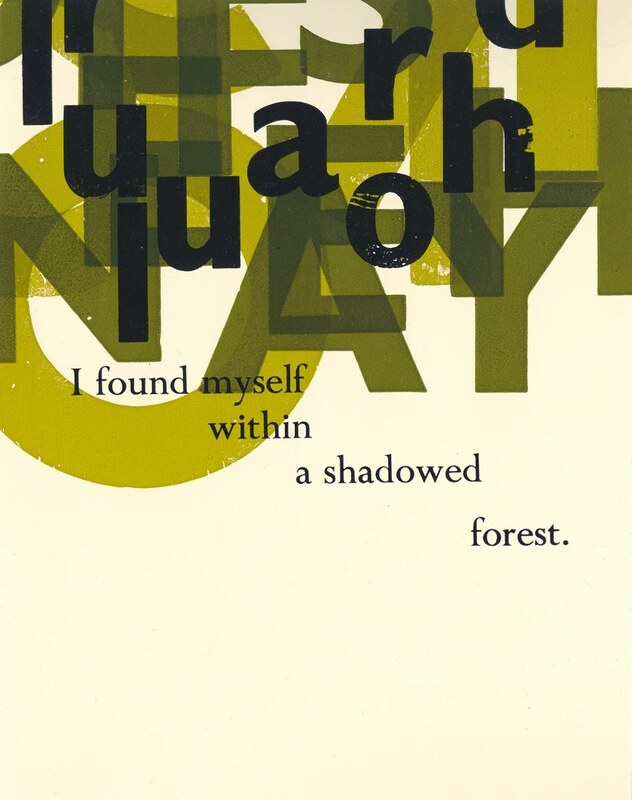 Top: Inferno, Canto I: The Dark Wood, letterpress, 1989. I had long been interested in Dante’s Inferno, from about the age of thirteen, although my early readings were informed by pop culture (Advanced Dungeons & Dragons, Marvel comics and the science fiction of Larry Niven and Jerry Pournelle), but, by that time I had finally read the Dorothy L. Sayers translations and had collected several versions of the text while studying at Chelsea. Barry Moser’s wonderful illustrations for Allen Mandelbaum, and Tom Phillips’s own illustrated translation (which included letterpress typography by Ian Mortimer) spring to mind. 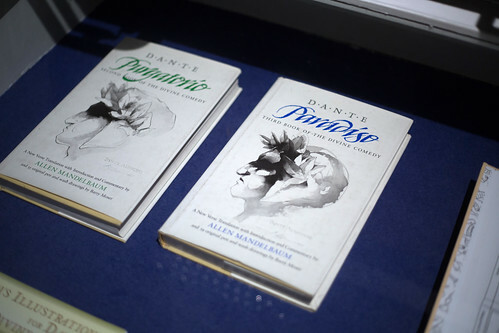 By the winter of 1989, I must have read something about the forthcoming TV Dante by Tom Phillips and Peter Greenaway – due to be broadcast in the summer of the following year – as I had been looking at Phillips’s Inferno illustrations again, and was struck by the way his work explored completely new ways of interpreting the texts. These were as eye-opening and innovative to me as Rauschenberg’s drawings had been when I saw them for the first time. 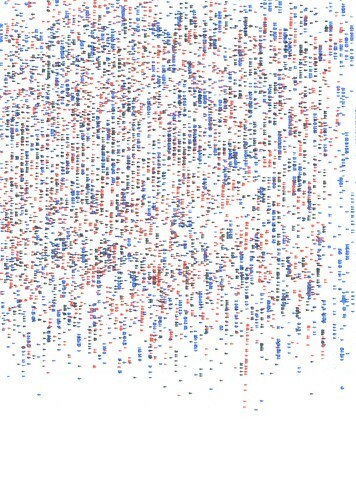 Purgatory, Canto XIX: The Covetous, typewriter, 2010. Purgatory, Canto XXVII: The Lustful, typewriter, 2010. Working with that book, and the two others in the Divine Comedy, has taken me 28 years now, and as I’ve only just finished the illustrations for Inferno, and am still climbing the mountain of Purgatory, I am guessing it will last me a few years yet. (I would like to point out that I have been busy doing other things in the meantime). 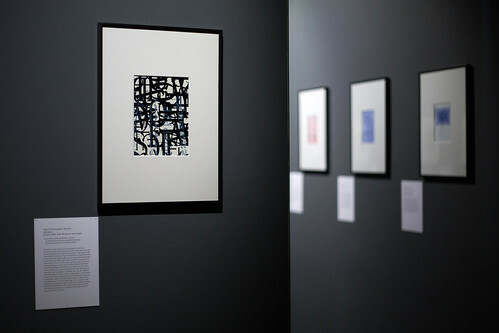 The work has just had its most high profile exposure in the National Print Museum in Dublin. This is a beautiful venue, and an exceptional exhibition space for the prints. I cannot thank Brenda Dermody (of the Dublin School of Creative Arts) enough for conceiving of the show and championing the work with the Museum, or Carla Marrinan for all her help and support in making the exhibition happen. 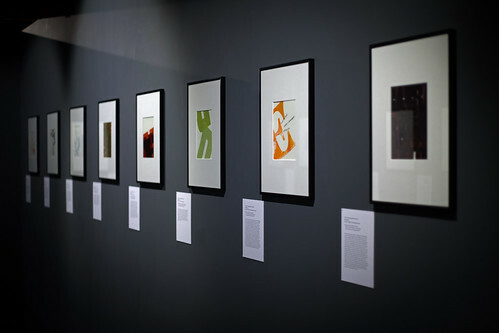 Installation views from the National Print Museum, Dublin, 2017. Allen Mandelbaum’s Dante aka ‘The California Dante’, with illustrations by Barry Moser, 1980-84. 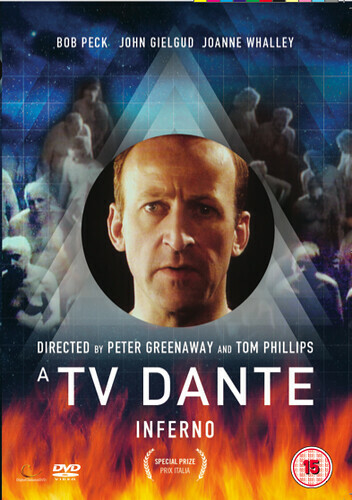 DVD cover of A TV Dante by Peter Greenaway and Tom Phillips, first broadcast in 1990. 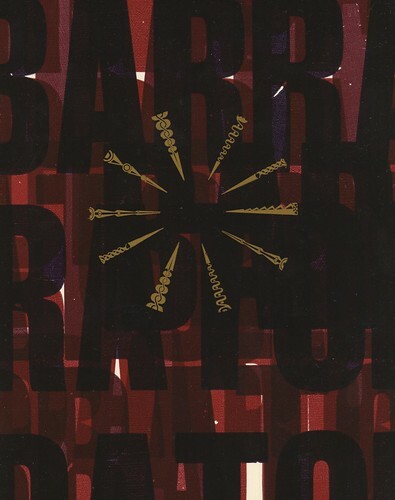 Brenda also created a series of postcards and a folder of posters for the show, with the intention of making new works rather than colour reproductions of the originals. Her ‘remixes’ of my work have given me a fresh insight into pieces that have long been familiar to me. Our ambition is to develop this aspect of the project in parallel with the main body of work, in order to create a separate interpretation with its own unique voice. The exhibition gave me the focus I needed to advance the project to a point where I have all the remaining illustrations for Purgatory planned out. I can almost see Paradise. Publicity material for the exhibition, designed by Brenda Dermody, 2017.